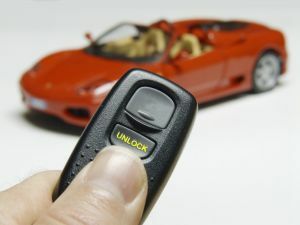 A standard automobile insurance policy does not cover personal property stolen from a vehicle. The definition of personal property located in the vehicle would be property that is not permanently installed in the vehicle. That means that an iPod would be classified as personal property. If you are likely to be carrying large amount of electronics, or you constantly carry electronic devices, you may want to talk to your insurance agent. Some states offer the option to include these types of devices in your standard automobile insurance policy. If you do not live in a state which supports this type of automobile insurance policy rider, you may want to contact the insurance company that handles your renters insurance, condo or homeowners insurance. You’ll want to get an understanding on which one of your policies covers your electronics that you often transport in your vehicle. If you do not clarify this, you may find that it has been stolen with no insurance at all available to replace it. Your laptop computer, and your portable gps electronics are also in the same classification as your iPod. It is best to positively identify where your insurance coverage relates as pertaining to these machines. « What To Do After An Accident: 5 Imperative Steps.